Place the tahini, coconut milk, fish sauce, honey, lime juice and oil in a large bowl and mix to combine. Place half the tahini mixture and the pork in a large bowl and mix to combine. Set aside for 15 minutes to marinate. Preheat a lightly greased char-grill pan or barbecue to medium heat. Thread the pork onto 12 metal skewers and cook for 2–3 minutes each side or until charred and cooked through. 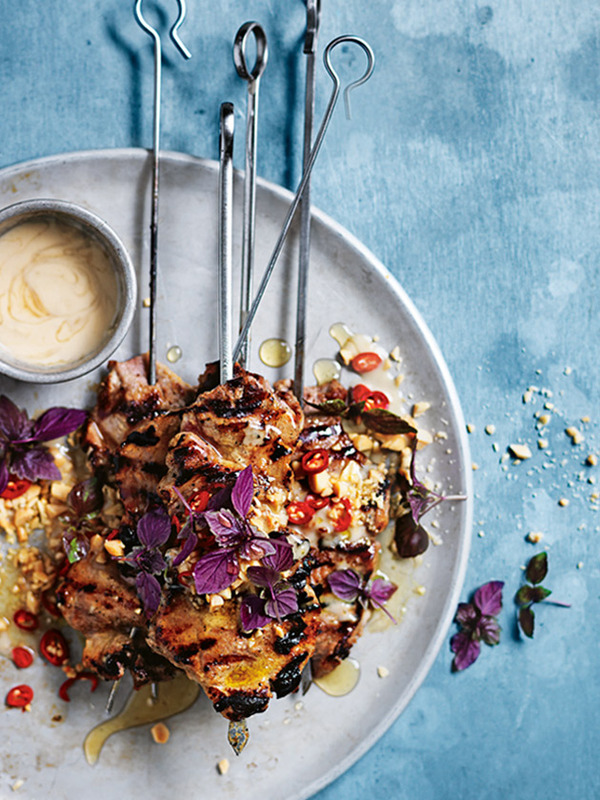 Top with the chilli, peanut and shiso, drizzle with extra honey and serve with the remaining tahini sauce. Serves 4.